[quozl] What has changed with you in relation to Heroscape since the last interview in 2011? I still love Heroscape but I play it a lot less than I did in 2011. My daughter and I have been exploring other games like Frostgrave and RPGs. We still play Heroscape once in a while but not nearly as much as we used to. [Bats] What do you hope to see out of the next ten years of C3G? I’d like to see a lot more scenarios, destructible objects, and obstacles added to the game. I have now completed the proofreading and editing of HiS. The size has been modified to 220 pages, 119,996 words. Bigga still has to look over it, and it's uncertain when he'll be able to get to it, as he is currently busy. Hopefully within a few weeks though he'll be able to power through it. After that we just have to work out any changes based on his comments, and we're good to go. The release date entirely depends on how soon Bigga is able to work his magic. So no pressure, Bigga. Fair warning: it is going to take a long time to post all of HiS. Several of the chapters are quite long, so I'll have to break them up. I intend to post at least once a day if I can, but even doing that, and even if I post a whole chapter a day, it would be two months before the whole thing is posted. Hopefully my writing can keep you interested. 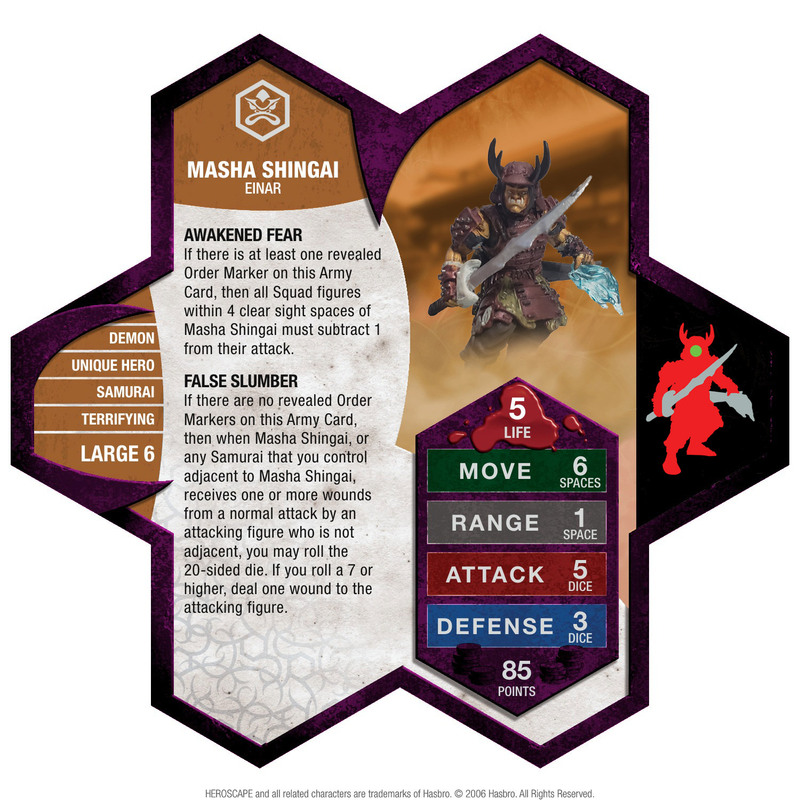 The Mohican River Tribe received most of the early game markers, taking potshots at Tomoe Gozen (or Masha from out of Awakened Fear's range if there was a revealed Order Marker on him to avoid False Slumber). They managed to claim the central tower and Wannok quickly, leaving the Samurai to struggle after failing to claim either spot after the first round. Since a new C3G release has just dropped, bringing plenty of classic horror movie villains to the battle of all time, it’s time to piggy back on that and review C3G’s first slasher.